Up until recently, I'd never tried a macaroon. Now? I love them. 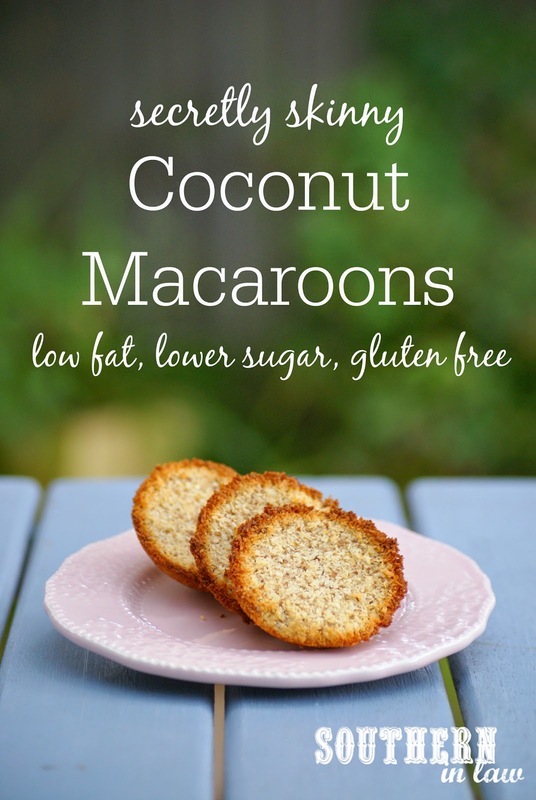 Because I never liked coconut, I'd never tried a macaroon so I never knew what the fuss was all about.... but then I started seeing plate after plate after plate of macaroons at church and I really really wanted to know what they were like. So after being tempted time and time again - I decided to get baking and try making my own Kristy style macaroons. They had to be gluten free and so that I could share them with you all, it had to be a SIL Style recipe too - that means they had to be low fat, lower sugar and absolutely delicious. Whisk your egg whites and sugar until fluffy and add in your vanilla and flaxseed. Mix through your coconut and mix until combined. Using your hands or a soup spoon/scoop, create little balls of your mixture, compacting them tightly onto your baking sheet. For some of my macaroons, I pressed them into a greased "Patty Pan" tin, however, the rest I simply made into mounds on a baking sheet - these cookies are less crumbly if you make them smaller and thinner. Bake for 8-10 minutes or until just golden. It's important not to over bake your macaroons as they'll dry out. Leave to cool completely on your baking sheet before storing in an airtight container or serving. But tell me, are you a macaroon fan? What's one food you hated as a child but love now? I probably like all the foods I hated as a child as I was a reaaaaaaally fussy eater. I liked fruit, peanut butter sandwiches, vegemite sandwiches and raw veggies and that was about all. I hated cereal (because I didn't like eating it with milk and never thought you could eat it any other way), despised sandwiches because they went soggy and absolutely would not touch mushrooms under any circumstance. This is my FAVORITE baked oatmeal, with your blueberry banana baked oatmeal following as a close second. I even baked the carrot cake oatmeal and it was AMAZING!!! I love all of the recipes I have found on here. Thank you so much for sharing them!! I've even got a few people hooked on baked oatmeal now too! Andrea, your comment made me grin from ear to ear - I am so glad you are loving our recipes! 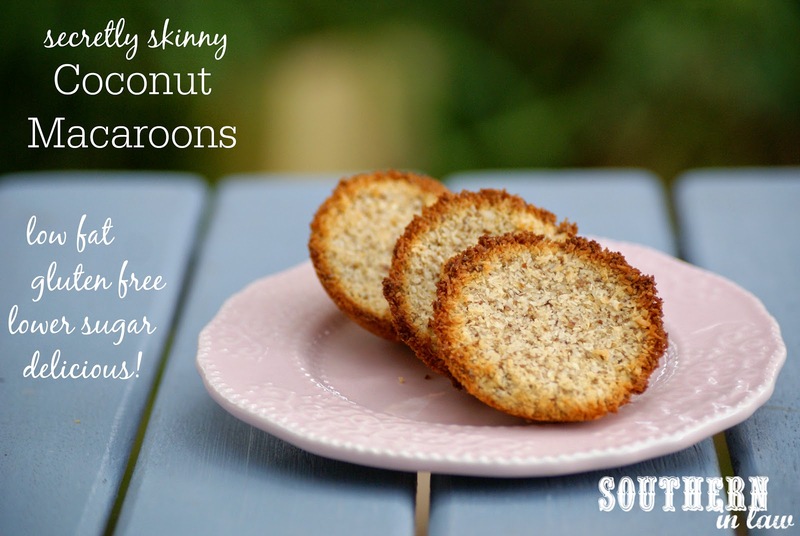 It's the perfect addition as it adds a little bit of a nutty flavour! I was never an onion fan as a child either but now I love them - my Mum, however, seemingly hasn't grown out of the loathing as she will still pick onion out of her food haha!